We here at the Library believe in getting folks books for free. And honestly, however we can make that happen is OK by us. We don’t have it? We’ll borrow it from another library in the state. The libraries we borrow from don’t have it? Let’s see if the Stark County district library has it. 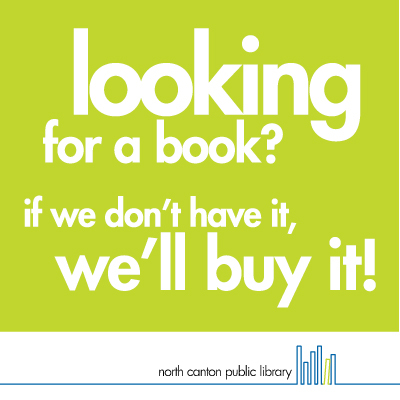 Maybe we can find an ebook or an audiobook. Maybe we’ll just buy it. Point is, with a few exceptions, we will do what we have to in order to get you the book you want without sending you off to buy it yourself. There are even some great services that provide free ebooks and eaudio that you can keep forever. My favorite place for free ebooks is Project Gutenberg, and its partner site, LibriVox, is my favorite for eaudio. Here’s how they work. Although we tend to think of ebooks as a recent invention, Project Gutenberg started digitizing books in 1971. Since then, the collection has grown to over 57,000 books, all of which are free to read and download and keep forever. The books in the collection are in the public domain, which in the US is pretty much everything published before 1923. Need to read Gulliver’s Travels for school? Project Gutenberg has the ebook available in EPUB and Kindle format ready to download, or you can read it on the Project Gutenberg website. Feel like you’re the last person on the planet to read Pride and Prejudice or A Christmas Carol? Get it from Project Gutenberg and no one will ever know. Also, every book has been closely proofread by numerous volunteers, so you’re going to run across far fewer typos than you do when you get free classics from other places that have simply scanned the book and then never looked at it again. And if you like listening to audiobooks, Project Gutenberg partners with LibriVox, free public domain audiobooks read by volunteers. Now, granted, not every volunteer reader is as good as a professional, but the price is right (free), and some of them are quite good. For instance, I listened to a LibriVox recording of The Count of Monte Cristo that is pretty fantastic. You can stream these books on a computer or download them with the free LibriVox app. Really, it’s good stuff. And those are just a couple places to get free ebooks and eaudio that can be yours to keep. Happy reading!